At a time when the western media is focusing on continuing ethnic troubles in China as reported by the BBC, many foreign correspondents and so-called China watchers might have missed Chinese-language news about how desperate Min Gong's fate can be. Min Gong 民工 or workers emigrating from the country side and desperate for a life beyond survival are ready to go anywhere for work. 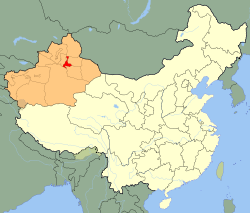 Some of them are even willing to look for work in the multi-ethnic province of Xinjiang in spite of repeated clashes between the Chinese Han and the Uyghur, among others. The Internet Chinese-language paper, Beiqingwang 北青网 （North Youth Network) reports on a group of 97 workers from Sichuan，among them 10 women, who were hoping for a better life in Ürümqi / ئۈرۈمچی ‎ / 乌鲁木齐 (Wūlǔmùqí) the capital of the Xinjiang Uyghur Autonomous region in China. For the last three months, they have been sleeping in dire conditions under a highway bridge. The news has now reached the Beijing press. Beiqingwang reports that their boss has disappeared without paying them the wages which are due to them. The contracting company was an empty shell. Their dream of making money and returning home has vanished. All that is left them is shivering with cold in slippers. They are still waiting for a job and a place to live. They could be offered some accommodation on the set for the popular Hunan TV series, 蝸居 [Snail House] aka Narrow Dwellings (sic). It features the tribulations of a young graduate couple trying to buy a home. The show has now been cancelled, some say censored, for its racy dialogue and realism. No television station, Chilean or otherwise, has offered to turn the 97 workers' lives into a TV series, yet. How well can a westerner learn Chinese or even Cantonese? The Hong Kong based newspaper 文匯報 Wenweipo (in Cantonese) has an interview in Chinese with Robert S. Bauer 包睿舜, an American who is bilingual in Cantonese and Mandarin. His Cantonese is so good that he has taught Cantonese to the People's Liberation Army in Hong Kong. Maybe the PLA thought native Hong Kongers would only teach them dirty Cantonese. They should have thought twice then about choosing Bauer because he is the world's top expert on Cantonese. He has even published a "Dictionary of Cantonese Slang: The language of Hong Kong Movie, Street Gangs and City Life." 老包 Bauer believes that Cantonese will be an endangered language by the beginning of the 22nd century. I hope he's wrong; what 老包 doesn't say is whether Hong Kong will switch to English or Mandarin. How boring and bland Hong Kong would be without Cantonese. Like Dim Sum in a MacDonald's. 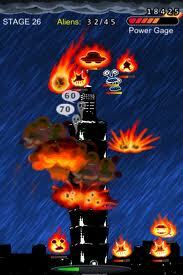 Taipei 101 attacked by aliens! The otherwise knowledgeable computer news site Techeye.net has managed to top the amount of misinformation you can squeeze in about Taiwan and China on a single Web page. According to Techeye.net "this sunny subtropical island nation just 100 miles off the coast of China" is baffled by complex Chinese. Never mind that everyone in Taiwan knows that leaving home without an umbrella is a sure way of ruining your clothes. Techeye.net managed to find one Taiwanese college student who claimed that she could not read Traditional characters: "It's Greek to me." This is quite a feat since all bookshops in Taiwan now have a floor dedicated only to books in simplified characters including Eslite 成品. Never mind that many Taiwanese use some form of simplified character for private communication. Poor Chairman Mao 毛主席 is blamed for this problem as "the bloke who made China go 'simplified,' jettisoning 5,000 years of Middle Kingdom history for the sake of his throne." The 外星人 Aliens from Galaxy Gliese 581 have just landed in America. According to the LA Times Tibetan student protests reach Beijing. Don't make the mistake to believe that the news is about Tibetan students protesting per se. The news is that now demonstrations take place in Beijing, on the campus of one of the officially top 100 universities in Beijing, Minzu University 中央民族大学. It is the main University for China's ethnic minorities. The same students protested two years ago in solidarity with the Tibetans who were revolting in Lhasa. This time, this was in support of the 9000 protesters in Qinghai and Sichuan (not in Tibet) protesting in favor of real linguistic equality. The police "did not interfere with the protests." Very wise! Ignore them and pretend it will go away. The French government tried this at first, it is now sending unmarked police cars running into main school gates to provoke students. During the summer, there were demonstrations in Canton about the government's plan to suppress Cantonese TV programs. It seems that local officials have backtracked and abandoned their ill-intentioned projects. The LA Times adds that "the president of the university and teachers called them into classrooms and asked them to write out their complaints in Chinese." These Chinese students have obviously being copying French demonstrations against Sarkozy. But like many copies it's a far cry from the real thing. Imagine the French students going obediently to their classrooms and writing a four-page essay about the reasons for their protests. The Inquirer tells us that the Chinese are not happy that the Taiwanese be represented with the name Taiwan at the Tokyo Film Festival, but would like the Taiwanese delegation to change its name to "China Taiwan Delegation." Taiwan-China name row erupts at Tokyo film festival. Not really news. North Korea has never issued such ultimatums. Nor has former Eastern Germany | die DDR ever dared to tell the US to break diplomatic relations with Western Germany. What other names will the Chinese come up with for Taiwan, apart from "Chinese Taipei" used during the Olympics? "Taiwan China," "Chinese Taiwan," "Chinese Taitai," 中國太太. Of course, it has known for a few months that Taiwan was coming to the Tokyo Film Festival. Like a teenage bride who is making a scene because her father hasn't been able to book Justin Timberlake for her wedding, China waits until the last minute to huff and puff. The Cannes Festival would do well to call Taiwan, "China Taiwan" and to change China's delegation name to "Chinese Beijing." President Ma Ying-Jeou (馬英九) really cares about Chinese culture. According to the Taipei Times President touts Chinese culture, President Ma is of the opinion that traditional Chinese characters are more difficult to learn than simplified ones. Full-form characters (so-called traditional characters) are easier to remember because they give you more clues to help you remember them. They are just much more difficult to write with a pen. But these days, since the new generation uses keyboards and mobile phones, it does not make any difference writing full-form (整體）or simplified characters. President Ma put it very simply : "While traditional script was more difficult to learn, it was harder to forget, whereas simplified characters were easier to learn, but they were hard to remember." Huh? Ma also said he was not "against simplified characters." He'd better not be if he wants to convince the Chinese government to stop pointing missiles at Taiwan. Imagine the headline in the Global Times: "China has added 50 missiles pointed at Taiwan to defend simplified characters." As usual, President Ma is eager to make peace with China. I'll take this opportunity to call for the suppression of the wrong term "Traditional Characters." Every scholar or serious student of Chinese knows that many so-called simplified characters have been used for as many as 2000 years and that many full-form characters are more recent than the "simplified ones." The MRT in Taipei has announcements in Mandarin, Taiwanese, Hakka and English (I pity visitors who feel slighted by Chinese announcements being three times as long as English ones). It's about time that MRT signage use these four languages as well. Maybe Ma has an opinion on what Characters should be used. He has called for full-form characters to be used on the mainland "juxtaposing the two systems in its elementary and high school textbooks." President Ma, PLEASE make a call for juxtaposing Taiwanese and Hakka next to Mandarin and English. Not to mention Truku or Paiwan and other native languages in their respective areas. Or maybe I don't understand your notion of "new climate in cultural development." I really enjoy reading the Global Times. Reading it, I learn things I did not even suspect I didn't know. Last night, I stumbled upon a 2010 February interview with a senior military researcher, Du Wenlong, with the PLA Academy of Military Sciences Taiwan's military strategy naïve and dangerous. I learned that "Taiwan is an island surrounded by water on all sides." You can even see the trace of a smile on his face. Du Wenlong is a funny guy, He should be in charge of the PLA army theatre. The Global Times is not what it appears to be. It is a satirical magazine. On Oct. 20th Taiwan's Minister of Transportation and Communications Mao Chi-kuo said that Taiwan will accept independent visitors to Taiwan as reported by Focus Taiwan.This is fantastic news for so many would-be Chinese tourists who, until now, had been forced to join tours organized by travel agencies. Anyone who has been on one of those tours knows how gruelling these can be. With every single second organized from dawn to dusk, including trips to your hotel room for a ten-minute freshen-up and bathroom relief before meals. "Chen Jung-hui, assistant manager with the Ambassador Hotel Taipei, said five-star tourist hotels had not benefited greatly to date from the country's opening to Chinese tourist groups because of the cost factor. 'We look forward to independent Chinese visitors, who will be more likely to check into hotels of higher rates,' Chen said." Many Taiwanese will remember the second week, in July 2008, when the direct-flight tours started and three Chinese tourists had disappeared. All of the Taiwanese media panicked at the thought of mainlanders, probably spies, on the run. It was not until the next day when it was discovered that they had lost their way and were put up graciously with a hearty welcome by Taiwanese locals that Kuomintang old-timers relaxed. Hopefully, these individual travellers will be provided with good maps and emergency telephone numbers on their arrival in Taiwan. The Global Times announces, reporting from the Macao Post Daily, that Macao Custom Officers have caught "their biggest ivory smuggling bust since 1999," the year of Macao's return to China. According to Macao's custom it weighed about "1 ton." One can't help thinking the smugglers must have had a good reason to think that Macao's customs could have missed one ton of ivory. Fortunately, they were wrong. The elephants had better watch out, their killers will be back. 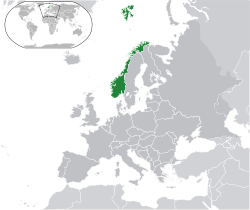 挪威在那儿 | Where is Norway | Hvor er Norge? The results from an opinion poll in China's government controlled Global Times show that 41% of the respondents think that China should "ignore and downplay" the award of the Nobel Prize to Liu Xiaobo, 31% are of the opinion that China should "condemn the Committee and accuse it of pushing a western agenda," 13.5% are "undecided" while 12.3% "accept the decision." This is all the more extraordinary since the same poll found out "that 75 percent of respondents had no idea who the winner of this year's Nobel Peace Prize was." - Hello, we are conducting a poll on Liu Xiaobo's nobel prize. - I'm very embarrassed to tell you that I've never heard of him. - He's the Chinese author who has been awarded the Nobel prize and who is always insulting our country. - Ng! he has no shame. Why is he doing this, he's Chinese, isn't he proud of being Chinese? - He's naive, the western powers are using him. - What country is doing this? - Where is Norway? Is it a big country? - In Northern Europe, just under 5 millions. - 5 millions! Didn't we try to change its mind? - We did, we sent our vice-minister for Foreign Affairs to convince the Norwegian government to change its mind but they claim the Nobel Committee is independent from the government! How can that be! - 5 millions and our country could not make it change its mind. Better ignore the whole thing. We don't want to look ridiculous. - So, I'll put you down as "ignore" then? - Of course, this never happened. Even more startling is it to discover in the same article that "9 percent said Liu should be released immediately and go to Norway to accept the prize." Some Chinese citizens don't have a clue. What an odyssey! the 33 miners in Chile have all come back safe and sound. Strangely enough, the Chinese media did not block this news. Were the censors asleep or will they be accused of subversion? At least this is what China's critics will say. Now, questions will be asked about why China, the second world power, can't rescue its miners as efficiently as Chile, a nation of 13 million inhabitants. Maybe they hoped the attention would divert energies from the Peace Nobel Prize. Now the world media are paying more attention to mines accidents in China or Ecuador. and watch Blind Shaft 盲井 http://en.wikipedia.org/wiki/Blind_Shaft and it will put you off Chilean (or Chinese) mines. Or any mines in the world. This film is still not available in China: surely, there is no point in stopping it reaching Chinese stores now.